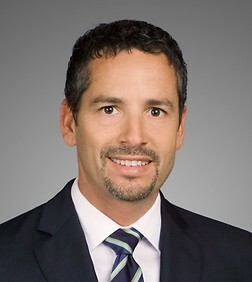 Michael Umansky is a partner in the Corporate Practice Group in the firm's San Diego (Del Mar) and Century City offices and is the Team Leader of the firm's Emerging Company & Venture Capital team. Michael practices corporate law with a special emphasis on capital raising transactions and mergers and acquisitions. His practice includes venture capital and private equity financings, merger and acquisition transactions, business formation and structuring, contractual matters (including licensing and distribution agreements), and public securities offerings. He represents entrepreneurs, startup and established companies, and venture capital and private equity investors in a variety of sectors including software, internet, mobile, business services, consumer goods and brands, life sciences, construction, and food and beverage. Michael also has significant business experience, having served for almost three years as vice president and general counsel for Linspire, Inc., a developer of Linux-based operating system software and services (acquired by Xandros, Inc.), and Gizmo5 Technologies, Inc., a venture-backed internet telephony company (acquired by Google Inc.). Accentcare, Inc.: Represented the company in connection with its $1,600,000 acquisition of Comprehensive Home Care, Inc.
Anakam, Inc.: Represented the company in its sale to Equifax Inc.
BICS: Represented BICS, a global provider of international wholesale connectivity and interoperability services, in connection with its acquisition of TeleSign Holdings, Inc., a leading communications platform as a service (CPaaS) company, for $230,000,000, plus performance-based earn-out consideration. Cardiff Sport Technologies, LLC: Represented the company in connection with its acquisition of TriState Technology, LLC. Chartone, Inc.: Represented the company in its $11,000,000 acquisition of Electronic Health Information, Inc.
Chartone, Inc.: Represented the company in its $7,500,000 acquisition of Moms Desk Commerce Corporation. Douglas E. Barnhart, Inc.: Represented the company in its $116,000,000 acquisition by Heery International, Inc.
Electronic Control Systems, Inc. and Green Total Solutions, Inc.: Represented two closely related San Diego-based contractors that sell and install large-scale building control systems and energy saving solutions in a sale of their respective equity interests to an affiliate of the private equity firm Huron Capital Partners. Endocare, Inc.: Represented the company in its $20,000,000 disposition of its cardiac product line to Cryocath Technologies, Inc.
Endocare, Inc.: Represented the company in its $36,000,000 acquisition of Timm Medical Technologies, Inc.
Endocare, Inc.: Represented the company in its $2,000,000 disposition of its urological prostheses product line to American Medical Systems, Inc.
Endocare, Inc.: Represented the company in its $2,700,000 disposition of its urinary incontinence product lines to SRS Medical Corp.
Eplica, Inc.: Represented the company in its acquisition of assets of Abigail Abbott Staffing Services. Eplica, Inc.: Represented the company in its acquisition of assets of Contractor's Employment Services, Inc.
First Allied Holdings, Inc.: Represented First Allied management team in connection with the company's acquisition by RCAP Holdings, LLC. Hello Giggles, Inc.: Represented the company in connection with its acquisition by a subsidiary of Time, Inc.
Hunter Industries Incorporated: Represented the company in connection with its acquisition of FX Luminaire, Inc.
I-Drive Safely, LLC: Represented I Drive Safely, LLC, a provider of online driver safety schools in more than 40 states, in connection with its sale to private equity firm, Compass Capital Partners, L.P. Integrated Revenue Management, Inc.: Represented the company in its acquisition by Analytix on Demand, Inc.
Ipivot: Represented the company in its $500,000,000 acquisition by Intel Corporation. Legend3D, Inc.: Represented the company in the sale of RiffTrax business. Logicord, LLC: Sale of assets to subsidiary of the Golf Channel, LLC. Nonstop Solutions, Inc.: Represented the company in its $10,000,000 acquisition of Supply Chain Solutions, Inc. Nonstop Solutions, Inc.: Represented the company in its $8,000,000 acquisition of D.P. Hamacher & Associates, Inc. Nonstop Solutions, Inc.: Represented the company in its acquisition of Evant, Inc.
Novex: Represented the company in its $66,000,000 acquisition by Invitrogen Corporation. Proximal Data: Represented company in its acquisition by Samsung Electronics Co. Ltd.
Samba Holdings, Inc.: Represented the company in its acquisition by private equity firm Cerca Group. Silicon Systems, Inc.: Represented the company in its sale to Western Digital Corporation. Two Jinn, Inc.: Represented Two Jinn, the owner of the 52 Aladdin Bail Bonds retail locations in the western United States, in connection with its sale of assets to private equity firm, Endeavour Capital Partners. University Netcasting: Represented the company in its $8,000,000 acquisition by Student Advantage. Z57, Inc.: Represented the company in its acquisition by Constellation Software, Inc. Represented sellers of major international irrigation equipment and products manufacturer in $82 million sale to John Deere. Represented special committee of the Board of Directors in management buy out of an invention and design services company. Represented international tour company in its 2014 sale to a private equity backed strategic investor. 5i Sciences, Inc: Represented the company in connection with a $500,000 seed financing. Accentcare, Inc.: Represented the company in connection with a $12,000,000 Series B preferred stock financing. Accentcare, Inc.: Represented the company in connection with a $24,500,000 Series C preferred stock financing. Aesthetic Therapies Institute, Inc.: Represented the company in connection with a $500,000 bridge loan. AITV: Represented Accelerate-IT Ventures ("AITV") as lead investor in Zanbato's $8,000,000 Series B Preferred Stock financing. AITV: Represented AITV as lead investor in HyTrust Corporation's $33,000,000 Preferred Stock financing. AITV: Represented AITV as lead investor in LiveAction, Inc.'s $5.35 million Series A Preferred Stock financing. AITV Bat Blue Our Crowd SPV: Represented AITV/Our Crowd special purpose vehicle as lead investor in Bat Blue Corporation's Series A Preferred Stock financing. Arizeke Pharmaceuticals, Inc.: Represented the company in connection with a $16,800,000 Series C preferred stock financing. Assistmatch: Represented the company in connection with a $250,000 Series A preferred stock financing. Avalon Ventures/AnaptysBio, Inc.: Represented Avalon Ventures in connection with the Series C preferred stock financing of AnaptysBio, Inc.
Avalon Ventures/AwarePoint Corporation: Represented Avalon Ventures in convertible note and warrant financing of AwarePoint Corporation. Avalon Ventures/MOGL Loyalty Services, Inc.: Represented Avalon Ventures in connection with Series B preferred stock financing of MOGL Loyalty Services, Inc.
Avalon Ventures/Proximal Data, Inc.: Represented Avalon Ventures in connection with the incorporation and bridge financing of Proximal Data, Inc.
Avalon Ventures/SparkPlate, Inc.: Represented Avalon Ventures in connection with the incorporation and bridge financing of SparkPlate, Inc.
Ceptyr, Inc.: Represented the company in connection with a $15,000,000 Series C preferred stock financing. Chartone, Inc.: Represented the company in connection with a $24,000,000 Series E preferred stock financing. Chartone, Inc.: Represented the company in connection with a $24,000,000 common stock and warrant financing. Conforma, Inc.: Represented the company in connection with a $1,000,000 Series A-1 preferred stock and warrant financing. Conforma, Inc.: Represented the company in connection with a $15,000,000 Series C preferred stock financing. Energy Innovations: Represented company in connection with its Series B preferred stock financing. Forward Ventures/Ambit Biosciences: Represented Forward Ventures and other investors in connection with a $2,000,000 secured bridge loan to Ambit Biosciences. Forward Ventures/Arizeke Pharmaceuticals, Inc.: Represented Forward Ventures and other investors in connection with a $2,800,000 secured bridge loan to Arizeke Pharmaceuticals, Inc. Forward Ventures/Sagres Discovery: Represented Forward Ventures and other investors in connection with a $3,000,000 secured bridge loan to Sagres Discovery. Gizmo5 Technologies, Inc.: Represented the company in connection with a $2,500,000 venture debt financing. Gizmo5 Technologies, Inc: Represented the company in connection with a $3,000,000 bridge loan. Legend 3D: Represented the company in connection with its Series E-1 financing. Legend 3D: Represented the company in connection with its convertible note and warrant bridge financing. Legend 3D: Represented the company in connection with its $19,000,000 Series E-2 preferred stock financing. Legend3D: Represented the company in connection with its $8,000,000 Series B preferred stock financing. Linspire, Inc.: Represented the company in connection with its managed private placement through UBS. Linspire, Inc.: Represented the company in connection with its $4,000,000 Series A-1 financing. Merchandising Avenue: Represented the company in connection with a $900,000 bridge loan. Merchandising Avenue: Represented the company in connection with a $4,135,000 Series A preferred stock financing. Merchandising Avenue: Represented the company in connection with a $750,000 Series B preferred stock financing and debt restructuring transaction. Metallic Power: Represented the company in connection with a $6,600,000 Series B preferred stock financing. Metallic Power: Represented the company in connection with a $18,000,000 Series C preferred stock financing. Metallic Power: Represented the company in connection with a $13,500,000 Series D preferred stock financing. Nonstop Solutions, Inc.: Represented the company in connection with a $4,170,000 Series G preferred stock financing. Nuvasive, Inc.: Represented the company in connection with a $2,200,000 bridge loan. Nuvasive, Inc.: Represented the company in connection with a $12,000,000 Series B preferred stock financing. Nuvasive, Inc.: Represented the company in connection with a $3,000,000 Series C preferred stock financing. Nuvasive, Inc.: Represented the company in connection with a $1,500,000 bridge loan. Nuvasive, Inc.: Represented the company in connection with a $30,000,000 Series D preferred stock financing. Nuvasive, Inc.: Represented the company in connection with a $15,000,000 Series D-1 preferred stock financing. Primo Products International, Inc.: Represented the company in connection with a convertible note financing by DJO, LLC. Proximal Data, Inc.: Represented the company in connection with its convertible note financing. Proximal Data, Inc.: Represented the company in connection with a $3,000,000 Series A preferred stock financing. Proximal Data, Inc.: Represented the company in connection with a $3,000,000 Series B preferred stock financing. QuestMark Partners: Represented QuestMark Partners in connection with a $10,000,000 series C investment in Ensenda, Inc.
ScoreStream, Inc.: Represented the company in its $2,000,000 seed financing, led by Sinclair Broadcasting, NEA, Avalon Ventures and others. ScoreStream, Inc.: Represented the company in connection with a convertible note financing, led by NEA and Avalon Ventures. Sorrento Networks: Represented the company in connection with a $50,000,000 Series A preferred stock financing. Tech Coast Angels: Represented TCA in connection with its convertible note financing of Yapert, Inc. Threat STOP Inc.: Represented company in its Series B financing. Trooval.com, Inc.: Represented the company in connection with its Series A-1 preferred stock financing. Trooval.com, Inc.: Represented the company in connection with its Series B preferred stock financing. Trooval.com, Inc.: Represented the company in connection with its convertible note financing. Uwanna, Inc.: Represented the company in connection with its convertible note financing. Uwanna, Inc.: Represented the company in connection with its Series A preferred stock financing.